Test how familiar you are with service dog terms. 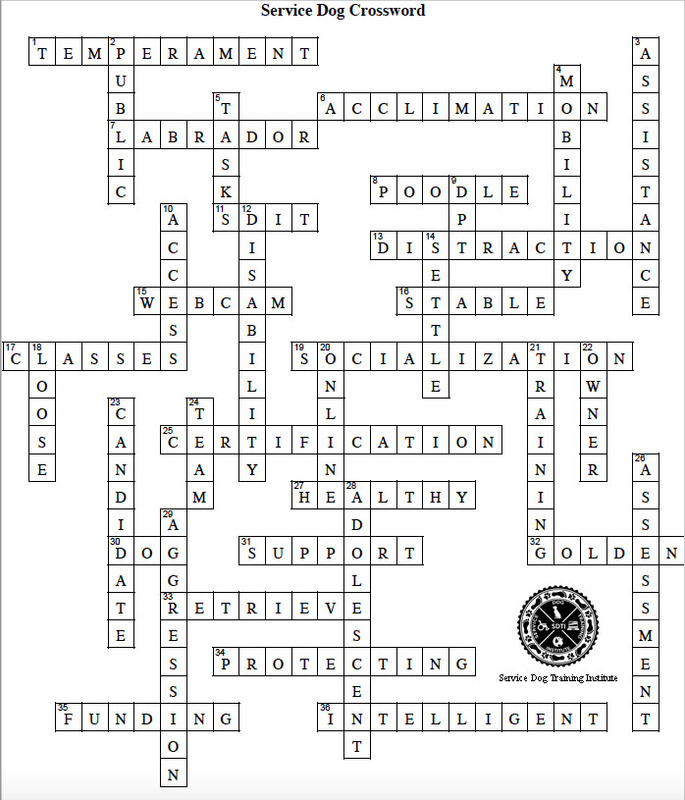 Enjoy our crossword puzzle! 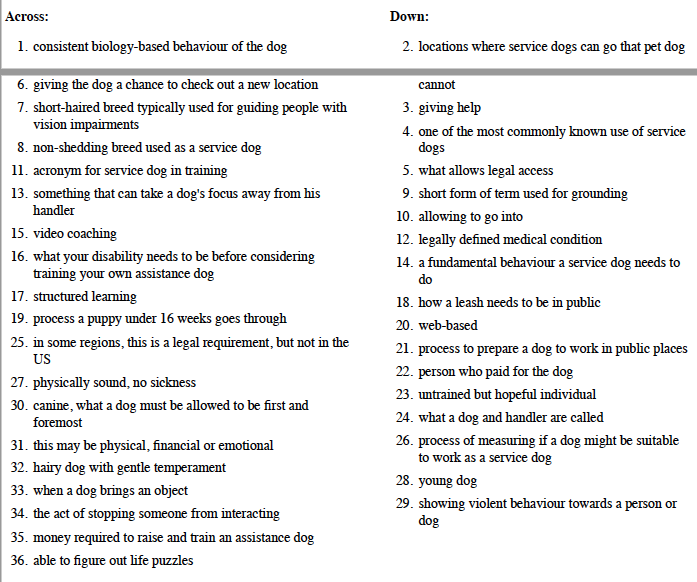 An extra hint: 29 down is an UNdesirable behavior in a service dog. Scroll down for the clues and further down for the answer key. Feel free to print off the puzzle for personal use.